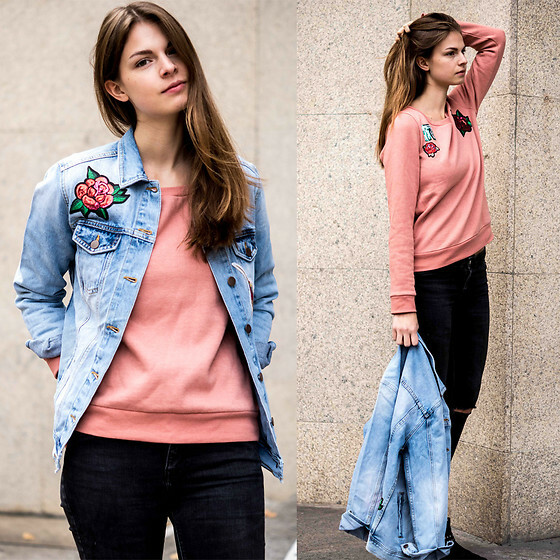 Denim jacket is basically considered a wardrobe essential – with the movement of the 70s coming back more and more worn as a top rather than just on the bottom. These jackets are considered timeless but can be pretty unique especially if worn with fall outfit ideas. It’s all about choosing the right pieces to create your very own signature look. If you’re looking for outfits to put together now that the weather’s chilly, you’re going to need a denim jacket and other warming staples too. Here are 13 fresh ways to style your denim jacket this fall. Wear a light-wash denim jacket paired with your favorite graphic tee and printed shorts to achieve a retro look. Finish off your getup with sheer black stockings and laced platforms for a statement-making everyday fall outfit. Pair your denim jacket with a crochet dress and boots to put a classic touch on a feminine look. It’s also a great way to continue wearing your favorite summer dresses. Here’s a look you can sport to the office or if you’re having dinner with friends. What better way to sport a black ensemble than by adding a contrasting color to your look? It’s basic but it’s all good. Paired with ripped-knee jeans and pink sweater, this cozy outfit is like a blast fashion past that’s truly timeless, not to mention very simple yet stylish. Never be afraid of donning denim-on-denim trend. If you want to make a bold statement without looking overdone, make sure you pair your denims in different washes as well as one more statement piece to put together your entire ensemble. Make a summer dress work for any season by simply layering it with a jean jacket. Keep it casual with a denim jacket, plain dress and favorite pair of white sneakers. All three – plain-colored dress, denim jacket and white sneakers – are essential pieces that you need to have inside your wardrobe. Balance out your femininity and masculinity by layering your denim jacket over your favorite cable knit sweater. 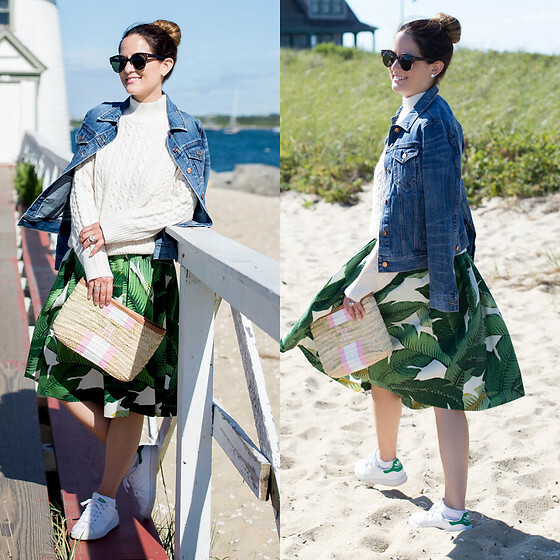 Best to pair this look with a printed bottom like this palm print skirt and instead of boots, try wearing white sneakers for a more polished look. You can do no wrong with a khaki green sweater in a denim jacket. For the office, swap your black jeans for black culottes and then you’re now good to go. Did you know that you can still wear your maxi dress even during summer? If you have dark-colored maxi dress with fun prints, you can definitely wear it for the fall then just top it off with a denim jacket. Go from day to night with a jacket similar color to this one. You can wear it with just about anything. An idea could be paired with your favorite tee with leather trousers and boots. Make your denim jacket look fancier than ever by wearing it with pieces like check midi skirt and striped high-neck top with vintage shoes for a sweet, mod effect and for your night rendezvous, wear it with sequins and heels for a fun mix. Edge up by modernizing your denim-on-denim getup – a hoodie or a sweater with your denim shorts and jacket then finish off your look with gray thigh-high boots. Denim jacket fashion for fall is effortlessly cool that will give a casual and comfortable vibe. 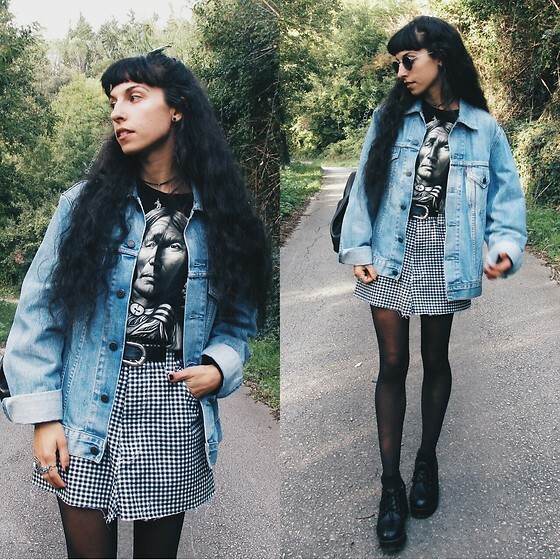 How would you style your denim jacket this fall?